What is PA non-standard, assigned risk, or Pennsylvania high risk auto insurance? Consumer Quotes for personal or commercial non standard or high risk insurance help. Personal Car insurance policies or Commercially Registered Vehicle policies for drivers that have been declined or canceled from standard or preferred insurance companies or have otherwise been classified as a high risk. Request free rate quotes HERE for non standard-high risk auto insurance alternatives with our minumum information tool. What is Required On Personal PA Non-Standard or high risk car insurance policies? Medical Benefits – This pays medical bills for you and others covered on your policy regardless of fault. The minimum limit is $5,000 of coverage. Higher limits are available. Bodily Injury Liability – If you injure someone in a car accident, this coverage pays their medical and rehabilitation expenses and any damages for which you are found liable. You must buy coverage of at least $15,000/$30,000. The $15,000 pays for injuries to one person while the $30,000 represents the total available for one accident. Property Damage Liability – If you damage someone’s property in an accident and you are at fault, this coverage pays for it. You must buy at least $5,000 of coverage. Some companies offer a single limit of $35,000 which meets the bodily injury liability and property damage liability minimum requirements. What Responsibilities do I have in owning or driving a car in Pennsylvania? A surety bond for $35,000 obtained from an insurance company licensed to do business in Pennsylvania. All Pennsylvania drivers and owners must have at least the statutory limits of minimum liability insurance or an approved alternative way to pay for injury or property damage they may cause. Penalties are very severe for non-compliance with this section of the vehicle code. When your car is in an accident for which you are found legally liable, bodily injury (BI) liability covers your liability to others for injuries to them. Property damage (PD) liability covers your liability for damage to someone else’s property. What is considered a good driver? A Good Driver is a person who has been licensed for at least three consecutive years and has no more than one point on his or her driving record. Certain major violations may be considered for periods of seven, e.g., a DUI (Driving Under the Influence). Every automobile insurance company licensed in Pennsylvania must offer coverage for Good Drivers. No insurer can refuse to offer coverage if you qualify as a Good Driver. If you are a Good Driver and you are denied the opportunity to buy insurance from the company of your choice, then call the Pennsylvania Department of Insurance for assistance. Also, it is important to note that your rates as a Good Driver must be at least 20% lower than a non-Good Driver’s rates would be at the same insurance company. Substantial increase in the hazard insured against. How are assigned risk auto insurance rates determined in our state. The number of years of driving experience. The type of required and optional coverages. The state of Pennsylvania Assigned Risk Automobile Insurance Plan (PAARP) is available as a market of potential last resort and is available only from PAARP registered producers. Producers shall comply with the Assigned Risk Insurance Plan (PAARP) rules. Violation of the Assigned Risk Plan rules may be construed to be a violation of section 604 of The Insurance Department Act of 1921 (40 P. S. § 234). 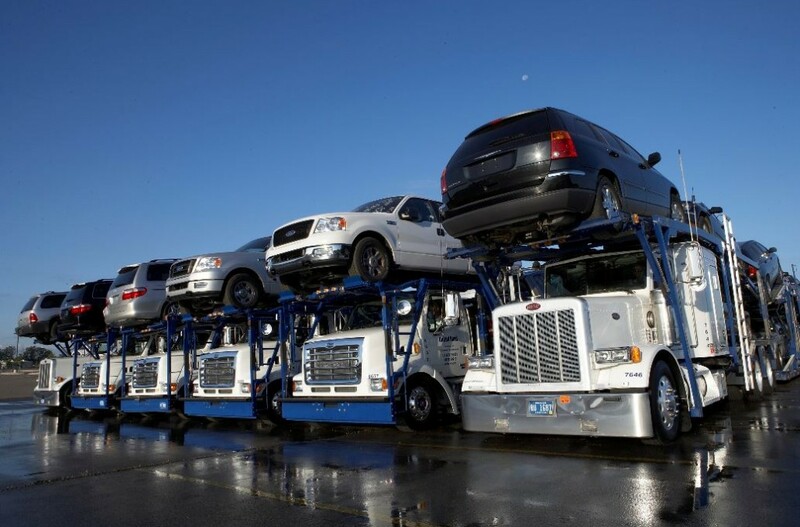 We can usually find transportation insurance coverage for most business types. THE ONLINE RESOURCE SINCE 2004 FOR PA HIGH RISK-NON STANDARD AUTO INSURANCE CONSUMERS THAT HAVE BEEN REFUSED COVERAGE IN THE VOLUNTARY MARKETPLACE. BY DESIGN THE ACTUAL PLAN ITSELF DOES NOT BIND POLICIES,INSTEAD PAARP REGISTERED AND LICENSED PRODUCERS UNDERWRITE APPLICANTS FOR QUALIFICATION. POLICIES ARE USUALLY BOUND IMMEDIATELY AND PROCESSED SUBJECT TO NORMAL UNDERWRITING PROCEDURES AS SET FORTH BY THE PAARP PLAN MANUAL. THIS SITE IS NOT AUTHORIZED BY,AFFILIATED WITH, NOR IN ANY WAY RELATED T0 AIPS0 ANY STATE INSURANCE AUTH0RITY,NOR ANY STATE APPROVED ASSIGNED RISK AUT0M0BILE INSURANCEPLAN. WE HELP BY PROVIDING ACCES TO PERSONAL AND COMMERCIAL PENNSYLVANIA AUTOMOBILE INSURANCE LIMITED ASSIGNMENT DISTRIBUTION INSURANCE COMPANIES (LADS), AS WELL AS OTHER NON STANDARD CARRIERS.INSURING PENNSYLVANIA NON STANDARD OR ASSIGNED HIGH RISK DRIVERS.